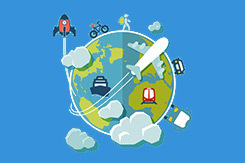 Our travel agency was founded in June 2007. As many as 22 718 clients have booked with us since 2007! 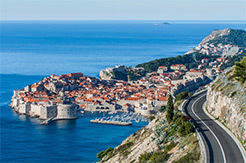 WE ARE A MEMBER OF THE ASSOCIATION OF CROATIAN TRAVEL AGENCIES (UHPA). We are a member of the travelife organization and adhere to principles of corporate social responsibility in tourism. We are specialized in offering private accommodation in the territory of the republic of Croatia. We have implemented and certified a quality management system according to the international standard iso 9001:2008 (internationally recognized standardization for quality management systems). It means that when you find an accommodation a hundred metres from a pebbly beach it really is a hundred metres from a pebbly beach. It means we offer a quality private accommodation in compliance with specific standards and hospitable hosts! It means that we provide quality products and services you expect. It means that clients are not just numbers to us which receive automated responses via software! Our responses are provided by our team – agency employees, holding university degrees and who speak your native tongue and, what is most important, who understand the needs of modern clients. 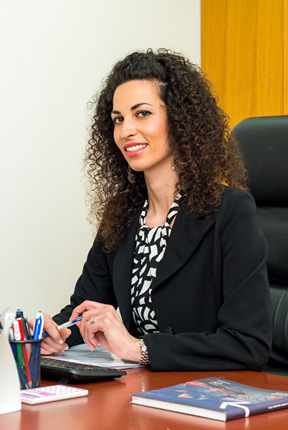 "We are aware that everybody is waiting for their annual holiday, especially in these stressful times, so with our individual approach we are dedicating us to find their dream apartment and holiday destination." "After the development of the idea in June 2007 I decided to leave the job at Valamar group and start my own agency." "Online Croatia travel agency staff is all with college degree, with excellent language skills and professional behavior in tourism and I am extremely proud with their work and contribution." I grew up on Ciovo Island near Trogir and after graduating the high school I went to study at the Faculty of Tourism and Foreign Trade in Dubrovnik. After graduation, I started to mediate in renting of private accommodation for my family. Those were the years when Internet just began to be used for the booking of private accommodation. At the same time with this "private" business, I worked as a receptionist, and then in sales department for the hotels Babin kuk as part of a team of one of the largest hotel groups in Croatia - Valamar. There I learned a lot about the rules of professional behaviour in tourism and business organization and that helped me a lot with starting my own agency. Since I successfully used Internet in renting private accommodation, very soon the number of the owner and satisfied guests began to increase and I started to create the idea of starting private business as an agency which will deal with the mediation of guests arrival in private accommodation in Croatia. 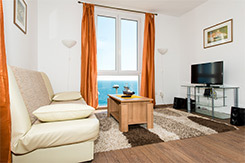 Emphasis was in the exact presentation of each apartment so the guests can make the right decision in selecting accommodations for their vacation. After the discussion of the idea in June 2007 I decided to leave the job at Valamar group and start my own agency. Personally I really love to travel and so far and I visited Italy, Spain, Portugal, Ireland, Great Britain, Holland, Hungary, Czech Republic, Austria, Germany, France and Greece and I always try to think as a guest because I believe that only such an approach can provide a quality service. Each year we try to improve our business and we are pleased to say that we are very successful since more than 99% of our guests say that they would trust Online Croatia for their next holiday rental in Croatia. A lot of our guests reports us with positive impressions and they thank us for all given advices for their successful holidays. We are aware that all people wait for their vacations so they could find a piece of peace and pleasure in these stressful times so we dedicate maximum to every guest with an individual approach. At the moment Online Croatia travel agency has four full-time employees, two associates, around 600 accommodation units in offer and more than 300 partners - owners of private accommodation and more than 12 000 guests who trust us. 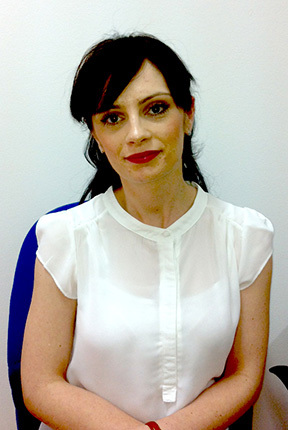 "I have been working in Online Croatia travel agency since March 2013." "By nature I am a very social and communicative person and working in tourism was a logical choice for me, especially living here in Dubrovnik – the pearl of the Adriatic and the whole Croatian tourism." I graduated from the Faculty of Tourism and Foreign Trade. I consider working in a travel agency is a really excellent choice for my further professional improvement. A positive working atmosphere and rich professional experience of agencies employees, makes the everyday responsibilities (communication with owners and data updating) easier and more interesting. We try to provide our guests the best service, and their given trust and positive impressions are an additional motivation for the future. I speak fluent English and French, and also have basic knowledge of German and Italian. Except working in hotels like receptionist,I also have a six years of flying experience as a cabin crew. I traveled and visited more then 40 countries in a four diffrent continents where I have experienced many diffrent cultures and met many diffrent people. I think that is an advantage that helps me a lot to continue my work in the tourism industry. All those positions gave me a good comunication skills, experiance in professional behavior and general public relation. 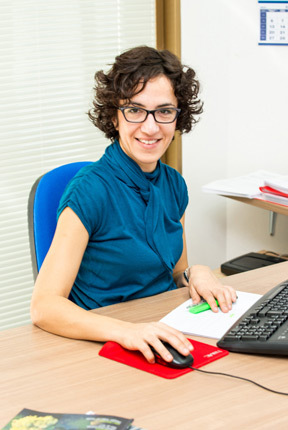 "I started working in Online Croatia in March 2014 as reservation agent." "Working face to face with clients from all over the world in really many different situations gave me firsthand experience." "To put myself in their shoes and think about what would they like and how would they feel in apartments I am suggesting them could be one of advantages helping me dealing with different demands." Radim u Online Croatia od ožujka 2014 u odjelu prodaje. 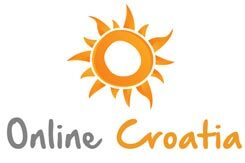 I started working in Online Croatia in March 2014 as sales manager. After graduating from Dubrovnik University, where I earned certificate in Public Relations I worked on different positions in some of the best five star hotels in Dubrovnik. That is how I found out that I see myself in future in tourism branches instead of public relations at all. Working face to face with clients from all over the world in really many different situations gave me firsthand experience. I also got an insight in how they see the services we offer, how they feel when things are not the way they are expecting them to be and how they react in different situations. To put myself in their shoes and think about what would they like and how would they feel in apartments I am suggesting them could be one of advantages helping me dealing with different demands.